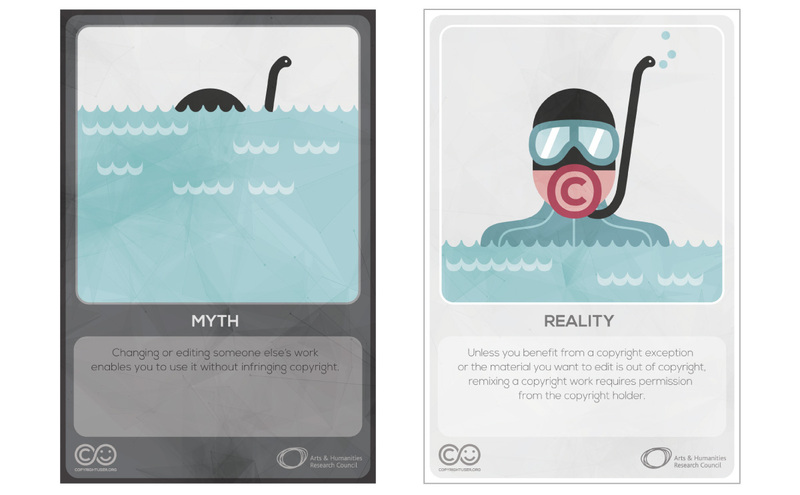 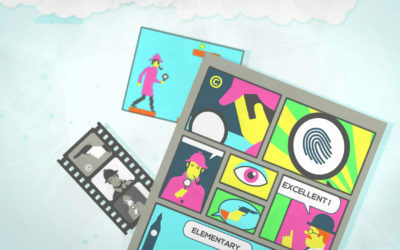 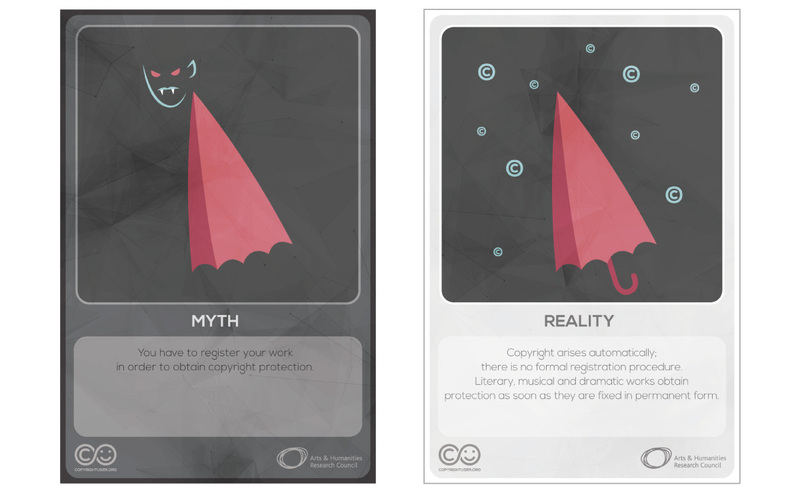 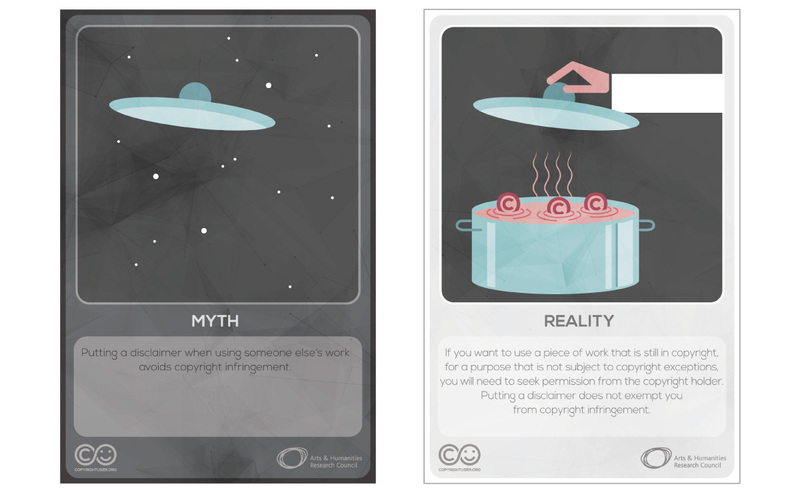 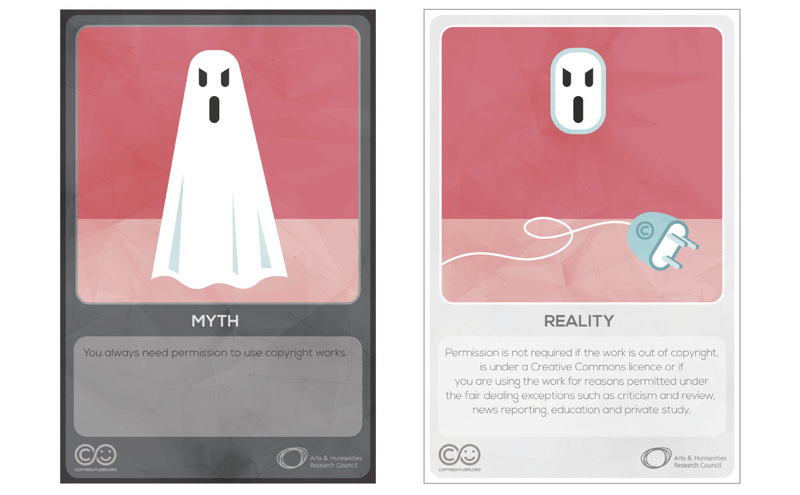 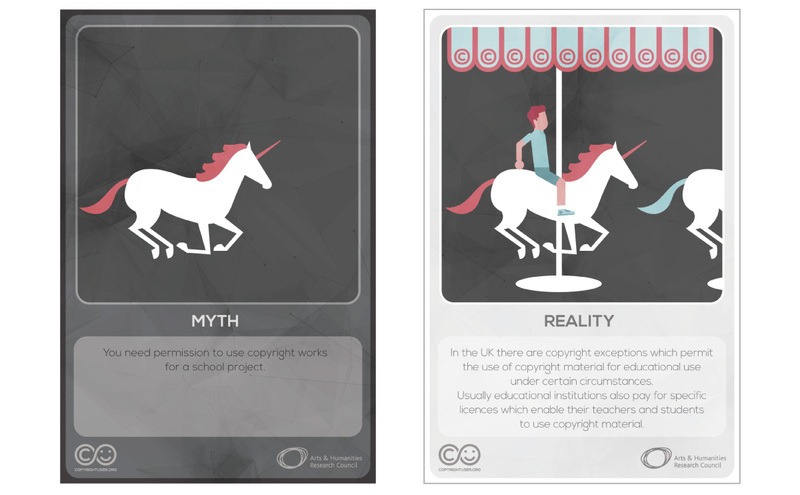 The Copyright Myth-Reality Cards were produced for the launch of the Copyright User website at the AHRC’s Creative Economy Showcase event on 12 March 2014. 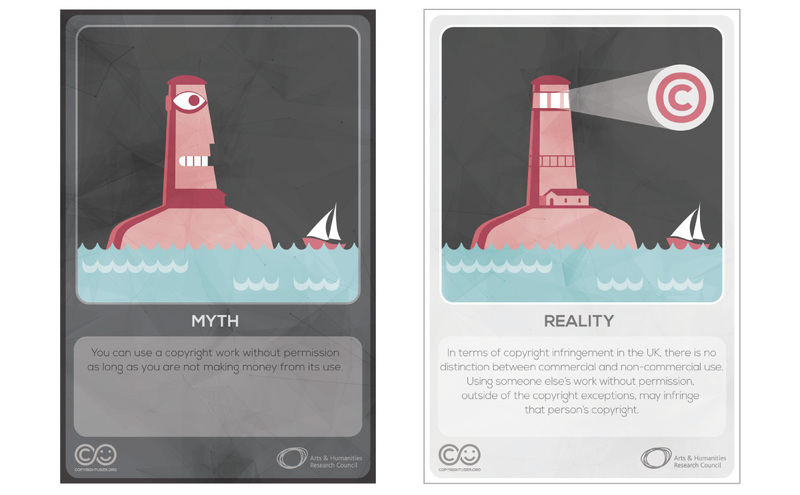 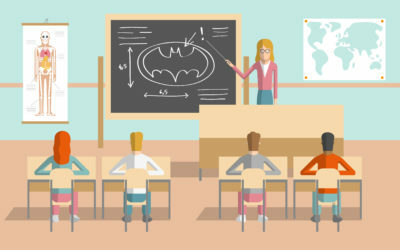 Using the same data collected during the FAQs exercise and similar qualitative techniques, we identified the 8 copyright misconceptions that occurred most often among users and distilled them into a set of cards. 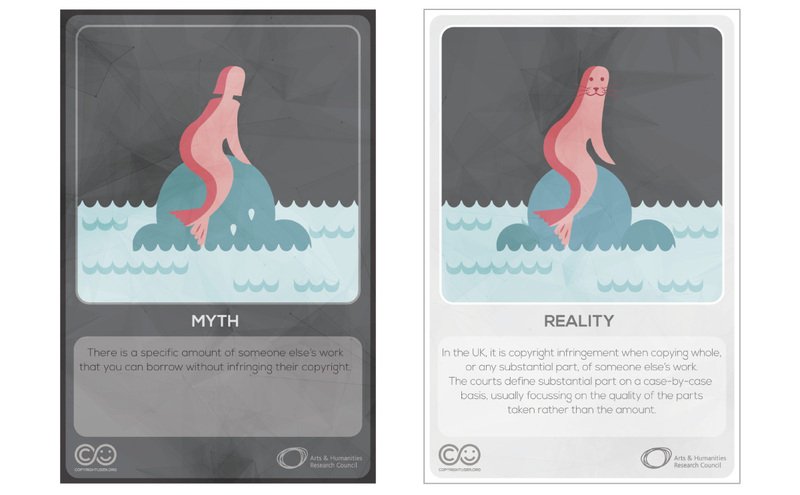 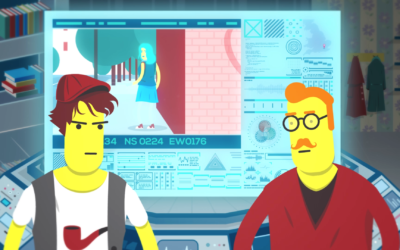 The cards consist of text and illustrations, with a copyright myth on one side and the copyright reality on the other. 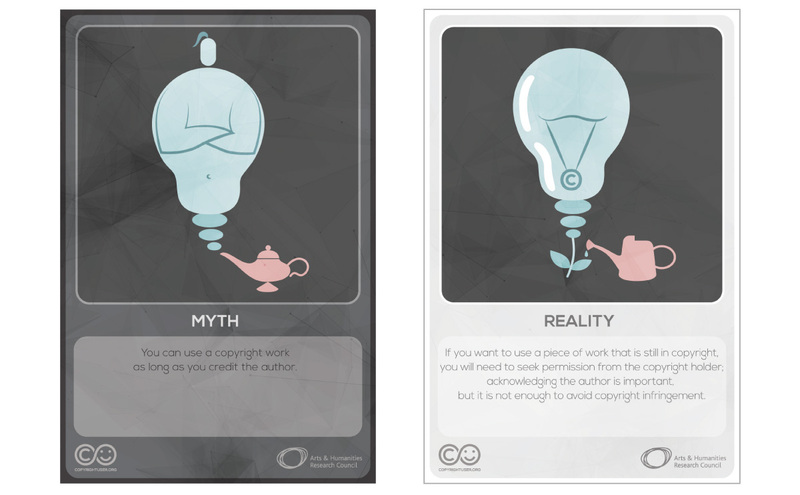 You can freely download and print the entire set of cards here.